As the finishing touch on a high-profile design, look no further than In-O-Vate Dryer Products. Revit and AutoCAD formats are available for inclusion in your project. 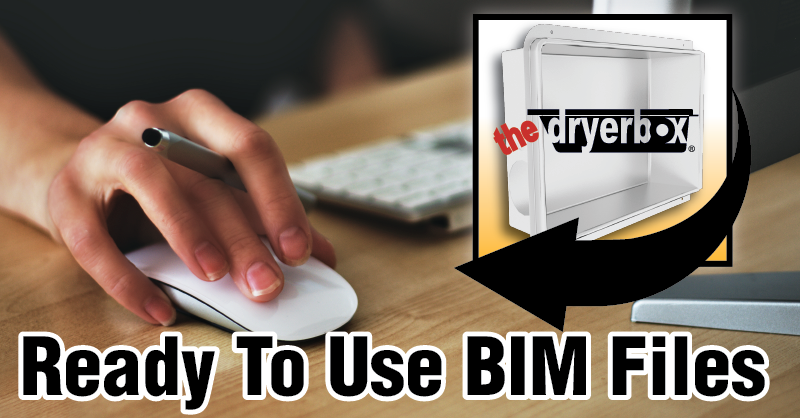 From the DryerWallVent to the Dryerbox, you can find the right model for your specs on the BIM page. "BIM (Building Information Modeling) is an intelligent 3D model-based process that gives architecture, engineering, and construction (AEC) professionals the insight and tools to more efficiently plan, design, construct, and manage buildings and infrastructure. "